After many questions and even more trial and error, I have learned that rules and regulations regarding children (and their stuff) and flying are cumbersome and not consistently applied. As an attorney, I also find these regulations to be an interesting read (yes, I know, I’m weird). In general, I find it is always a good idea to know what the rules are, so you aren’t surprised by more than the already turbulent (hehe) nature of airline travel. When referring to domestic travel, I am summarizing the practices of the four major domestic carriers (current as of the date of posting): United, Southwest, American, and Delta. If an exception exists, I will note it below. 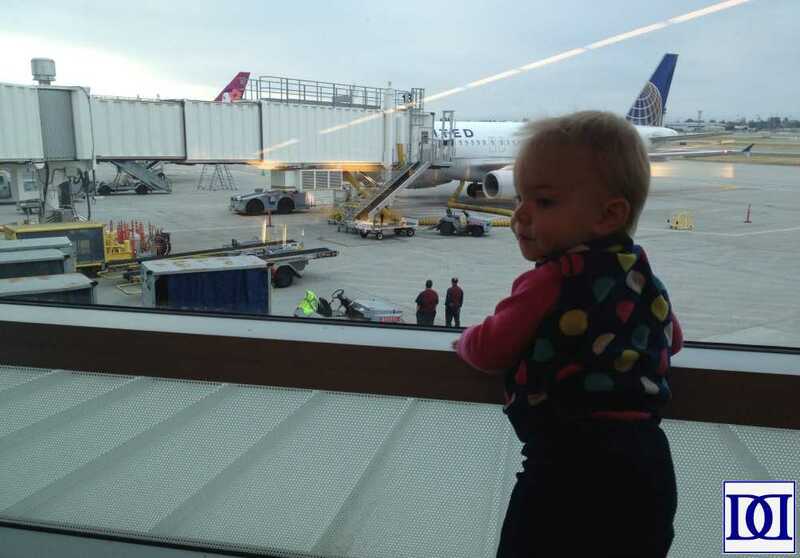 As for international travel, I briefly detail my experiences here, but you may want to read up on your airlines’ specific regulations regarding infant/child travel before making any assumptions. Strollers and car seats do not count against your baggage allowance (either as carry-on, gate checked items, or checked items). As carry-on: you will be requested to gate check your stroller, and if your car seat doesn’t fit in the seat or comply with FAA regulations (see below), this item will also be gate checked. A good rule of thumb is to always be prepared for these precious items to end up under the plane and plan accordingly. Baby items are generally exempt from the 3oz liquids rule. This also applies to cooler packs, ice packs, etc keeping milk cool for travel. Chances are, it will be subject to x-ray (unless you ask for an exemption), and your hands/milk container will be tested for explosives residue. I have asked that TSA not open the milk containers (especially if they are still sealed), and that hasn’t been a problem. Even if you’re traveling without your kids and trying to pump for when you get home, I have found TSA to be very accommodating with my requests for their specific handling of breastmilk. Especially if it’s pre-packaged and unopened, baby food is generally allowed. I have never had any issues with screening if an item appears to be for a baby, and I have a baby with me. Domestically, children under the age of 2 may travel without paying for an individual seat. Called “lap infants,” these children will still need a ticket that designates them as a “lap infant” even though this ticket is free, and you will more than likely be required to obtain this ticket at ticketing in that oftentimes absurd line (so plan accordingly). Traveling with a newborn is regulated different depending on your airline. American–If between 2-7 days old, you will need your pediatrician to fill out a special passenger medical form (American will need to send it directly to your physician). Delta–If under 7 days old, you will need a letter of approval from your pediatrician. For international flights, children under 2 are not free (even if not buying an individual seat). For our Winter 2015 trip, our “lap infant” ticket cost 10% of the full fare price (this applies even if traveling with frequent flyer miles for the rest of your party). For a lap infant (see above), you may need to provide evidence of their birth date. A copied birth certificate or a passport work best. In a pinch, we have managed to scrape by with a photo of a birth certificate and a time-stamped picture of our daughter’s birth, but I wouldn’t recommend relying on these methods of i.d. while traveling. Once you buy a ticket for your little one, you will more than likely be asked to provide identification regardless of their age. Due to our early international travel with both kids, we travel with their passports. If, however, this is not an option for you, make sure to have a copy of their birth certificate with you. Starting at age 5, TSA may ask your child to state their full name and age. They ask these questions of the child (not the parent) to ensure that a child is not being transported under an alias or being trafficked. Especially if you have a larger child who may look 5-ish at 3 years old, don’t be surprised by these questions. We’ve simply explained to the representative that our child is only x-age and provided their identification (passport) as proof. Everything you bring will need to run through a scanner of some kind, so you will need to wake your baby up from their nap if they are in the car seat or stroller. You may carry your baby through the x-ray machine in a soft carrier (Ergo, Moby, Bjorn, etc), but you will be patted down and have your hands tested for explosives residue. UPDATE 9/9/2016: There has always been some debate among TSA personnel about what “in arms” means for the TSA requirement in screening a carried child (see link on “screening procedures” above). 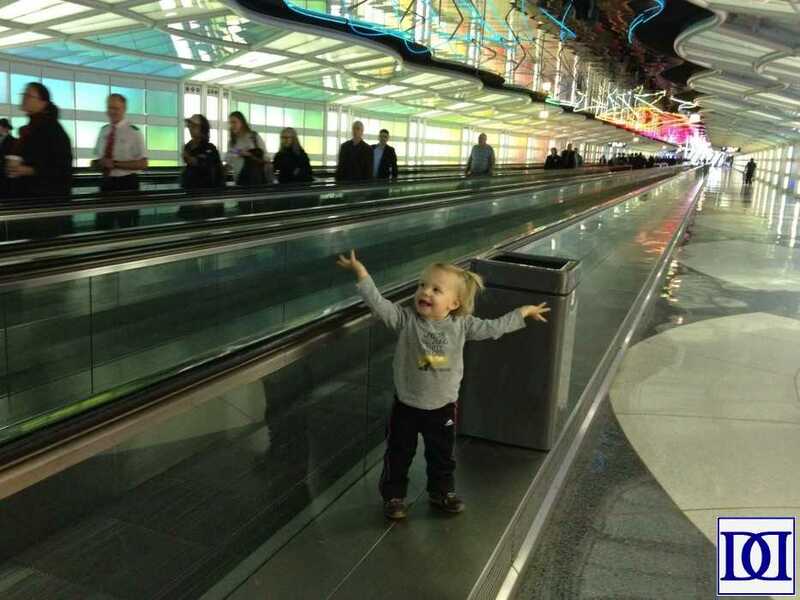 According to several recent travelers and loosely polled TSA personnel, the current school of thought is that “in arms” does NOT include a child in a carrier. Thus, you should expect to be asked to remove your child from a carrier and carry in your arms when traversing security. Children under 12 may leave their shoes and coat on during screening. Pre-check, CLEAR: your child is considered eligible for these benefits with no additional documentation. Global Entry: when traveling internationally, your child must have their own clearance in order to navigate customs under your Global Entry pass. As a result, you will need to fill out additional forms, pay fees, and physically involve them in every stage of this process when obtaining your clearance. You may choose to gate check your car seat or bring it onto the plane (so long as you bought a ticket for your child and the seat meets FAA standards–see below). You may not bring your stroller onto the plane, but you can gate check it, and it will be made available to you once you de-plane (either for a layover or at your final destination). If you are going to gate check your stroller and/or car seat, I’d strongly recommend purchasing a carrier. Even these cheaper ones will protect your gear from the elements if not rough handling. We’ve owned our very basic, non-padded carriers for 3+ years now, and while they definitely look “well-traveled,” they haven’t torn yet. 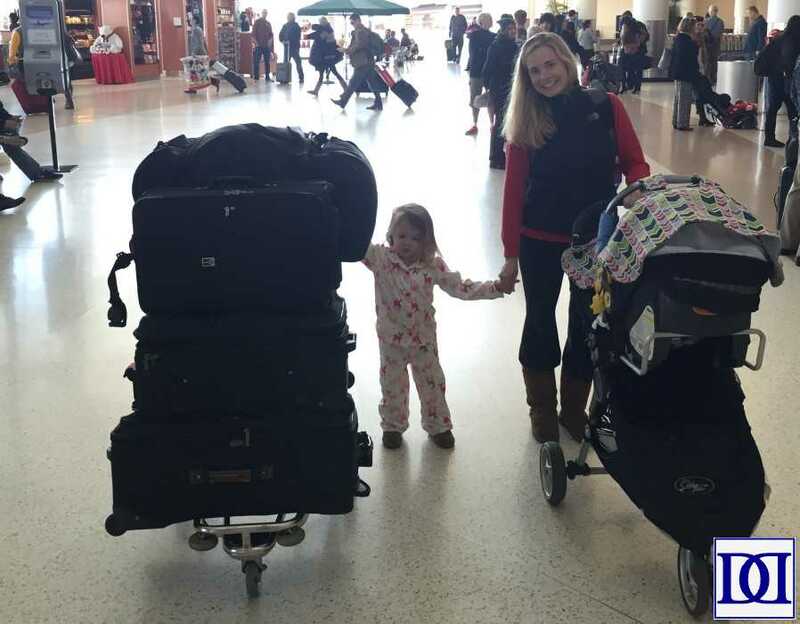 American does not allow gate checking for non-collapsible strollers or strollers over 20 pounds. Most flights allow pre-boarding for families traveling with small children. Southwest allows priority boarding between the “A” and “B” groups, so you should still try and check-in as early as possible to get one of the coveted “A” positions. Depending on the ages and temperaments of your small travelers (and the size of your carry-on baggage), you may want to hold-off boarding until later to allow the kiddos to blow off steam before being contained on the plane. If not in a car seat, children under the age of 2 must be in an adult’s lap for take-off and landing. They may not be in a baby-carrier of any kind other than a car seat properly installed in its own seat. Once the plane is at a cruising altitude, you may put your child in a carrier (whether it’s FAA approved or not). This is the preferred method of travel for young children according to the FAA and most major airlines, although it is not required. 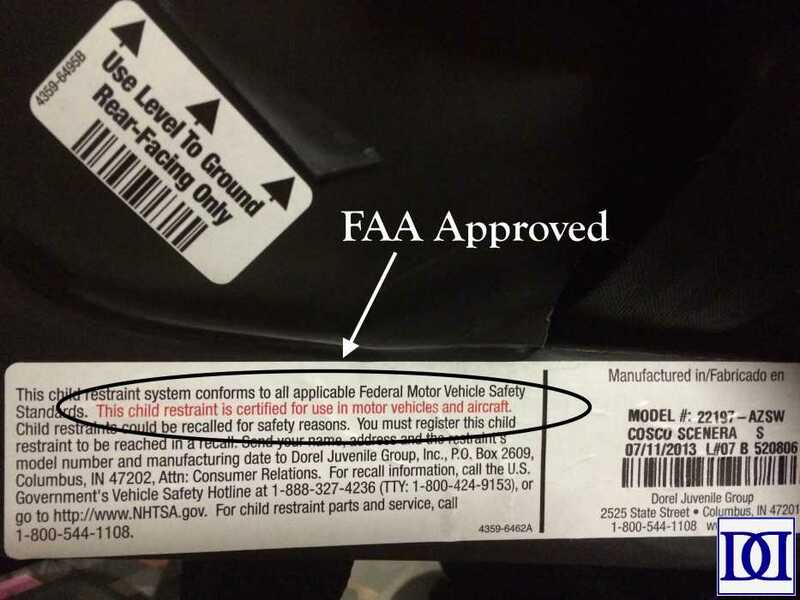 If you plan to bring your car seat onto the plane, you must have bought a seat for your child, and the car seat itself must be certified for flight use. You may either install the car seat forward or rear facing. Nursing mothers are permitted to breastfeed/pump on aircraft. Just as when you didn’t have a kid, the “fasten seat belt” sign applies. 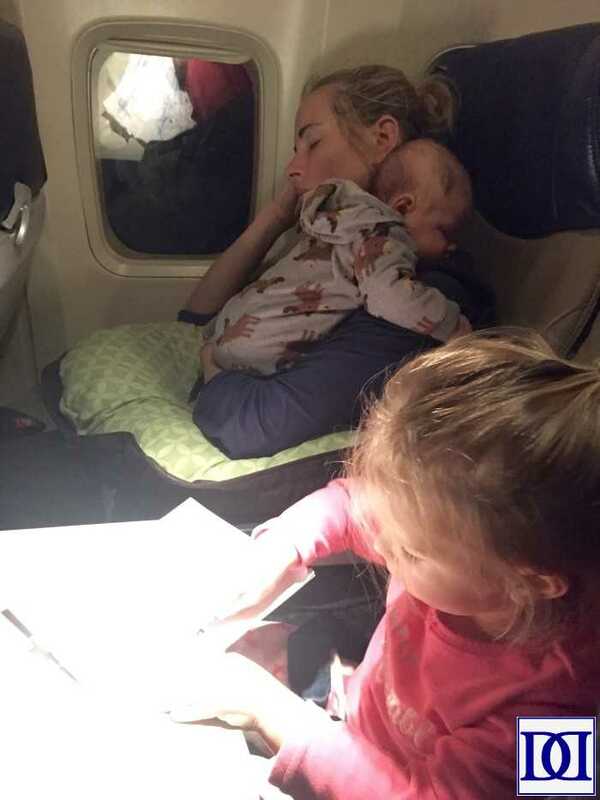 While there is no general FAA rule specifically prohibiting a single passenger (or for that matter, a mom and baby) from standing in the rear galley, I have been told by flight attendants that such a “federal law,” “airline policy,” etc exists. At the time of this post, I couldn’t find these policies anywhere on the FAA, United, Southwest, American, or Delta websites. Regardless, these elusive “policies” are inconsistently enforced by flight crews. Phew! Just a few things to consider before traveling with your small children. While it might seem daunting, traveling with infants, toddlers, and preschoolers can be a great joy and a memorable adventure! I highly recommend it to anyone whether you are visiting family or exploring a new corner of the country/globe. If you’re looking for more information, anecdotes, and ideas, please check out my series on Traveling with Pre-School Children.